Every time we head out for a road trip my girls want a new audio drama to take on the drive. We all love to be transported to another world or time while we sit in the car. Our newest adventure is Season 6: Underground Rising Digital Edition from the Brinkman Adventures. The Brinkman Adventures are not new to use. We have several of their past seasons and we all agree they just keep getting better. The stories are about modern day Christian heroes but we get introduced to these heroes through a family of six, the Brinkmans. Of course like any family the Brinkmans have their own excitement wherever they go. 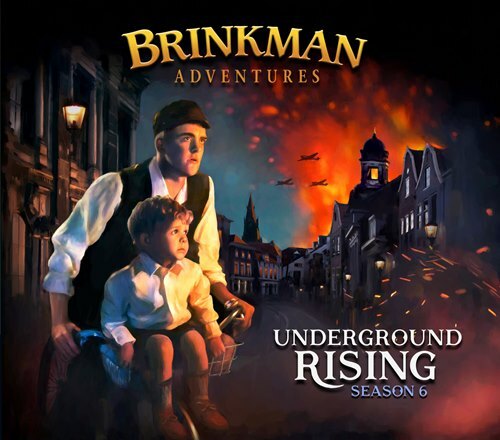 The Underground Rising is the sixth radio drama adventure album from the Brinkman Adventures. This new season has six tracks instead of twelve tracks that are on the previous albums. This new album takes us on adventures from real people that have given themselves to help others. They are all based on real people and events but they are recorded with a dramatic element and are very entertaining as well as informative. We go back to WWII and meet the VanKesterens, learn of a prison licence plate factory, see kids giving up everything they know in order to help orphans in India, and about Dave Eubank and how being a Green Beret in the Special Forces had prepared him to use his experiences for God in the conflict zones in Burma. We listened to each episode a few times. Our last road trip we left early in the morning and my girls slept most of the 3 1/2 hour drive so I didn't listen to it without them. We were house sitting for my oldest daughter and she had just moved so we listened while we were unpacking some of her boxes and also after we got home while we were making caramel apples. We all agree that our favorite adventure on this album is the Dutch Underground Part 1 & 2. This seems to be my girls favorite time period to learn about and hearing the story of Reng & Lynn VanKesteren and their friends is very inspiring. Learning about people that are willing to put their own lives at risk to save others they do not know really helps you see the good in mankind. After listening to each episode we really enjoy heading over to Brinkman Adventures page for the Real Stories of these amazing people. Some of their background story is there as well as photos of the actual people and some of the actors as well as some information about the recordings or how they found the actors. There are also short video segments that add to the stories and links to the podcasts interviews of the real people. I think it is good for our kids, and us, to learn of people that have put everything on the line for God or to help others. I like my kids to have real life role models and heroes to look up to and learn from their examples. Season 6 also shows that it is never to late to give your life to God. Even if you haven't seeked His guidence in the past it is never to late. 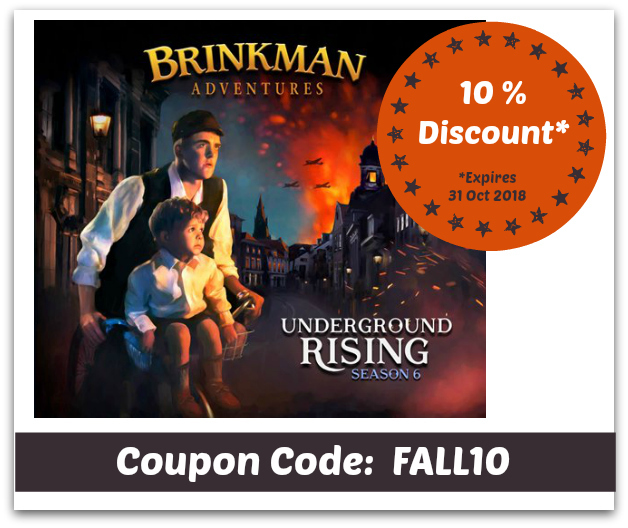 Don't forget to read other Crew reviews about the Underground Rising and make sure you use the coupon code: FALL10 while you are shopping at the Brinkman Adventures.